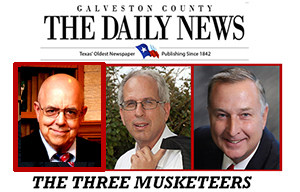 Editor’s Note: The Three Musketeers have spent the last five weeks interviewing red snapper fishermen from all sectors. 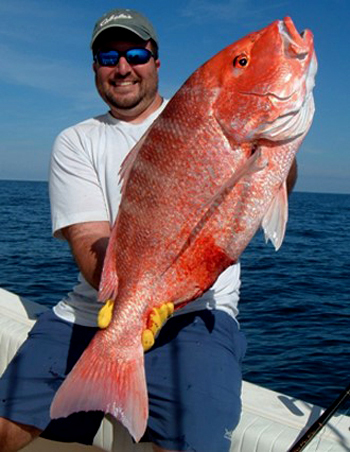 This is the second in a five part series which delves into some of the issues and possible solutions to the management of red snapper on the Gulf Coast. From 2008-2016 there was a concerted effort by NOAA to reduce the number of fishermen. As mentioned yesterday they accomplished this by instituting “catch shares” on the commercial sector and by continually reducing the total allowable catch levels. Fishing is an expensive business, boat upkeep, equipment, fuel, and labor costs don’t come cheap. The big operators could financially survive with their larger allocations. The operators with smaller allocations could not catch enough fish to make operating the business worthwhile. As the smaller fishermen left, larger operators legally purchased additional “catch shares” from those exiting the marketplace. Today the number of commercial “fishermen” remains small. According to an investigative report by Fox8 News in New Orleans about 37% of the commercial “fishermen” control large portions of the allowable catch. A small, but politically active, subset of these catch shareholders sell or lease their allocations earning hundreds-of-thousands-of-dollars without actually fishing. We believe it’s important to support commercial fishermen who actually fish. So what about those who don’t fish, or who have given their allocation to relatives who aren’t fishermen? Some contend only that part of an allocation which was paid for and/or those who are actually fishing should benefit from the NOAA allocation. Some recreational fishermen have suggested that since red snapper in U.S. waters is a natural resource of the U.S. that all who fish for them should pay a royalty fee; both commercial and recreational fishermen alike. Some believe this suggestion might have merit since similar royalty fees are paid for oil and timber leases on U.S. lands which are also U.S. natural resources. But the critical issue seems missing. Everyone we interviewed strongly believes NOAA is, perhaps even purposely, underestimating the size of the red snapper fishery. They tell us the resource is much larger than NOAA publicly admits. Some respected experts in the field suggest it’s as much as five times larger than what NOAA says. If this is true, then NOAA must increase the size of the allowable catch limits for both commercial and recreational fishermen. For the commercial sector which operates on the model of supply and demand, there’s a point where flooding the commercial marketplace would be counterproductive. On the recreational side increasing the allocation could conceivably increase catch limits without impacting the commercial marketplace. Regardless of the true resource size, fishermen know without question the size of the fish stock has grown significantly. Again, the critical piece in managing the red snapper fishery is data accuracy for determining the size of the fishery. In the meantime, some of the Gulf States have been out gathering their own data. Preliminary numbers seem to differ drastically from NOAA’s. But for the most part their data only covers the nine miles they manage. There was legislation in the last Congress (HR 3094) that would extend red snapper management and enforcement to the 200 mile limit to the five Gulf Coast states. More about this in tomorrow’s column!